In a city of 2 million residents, the need for more housing (not to mention financial opportunity) didn’t prevent the French government from prioritizing green spaces. Paris parks are not plots of grass or playing fields. 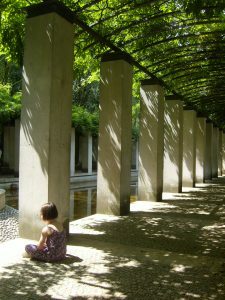 The aesthetic design that has gone into the creation and maintenance of these oases will surprise and delight you. Including at least one picnic during your trip will balance the urban hustle of the city with a peaceful, floral getaway. Here are 10 Paris parks that are worth a visit. You can pick a park or two based on where you’ll be, since they are scattered all over the city. If a beautiful park is one of your favorite things, like it is for me, you may want to spend a couple of relaxing hours there during your trip. Nature in the midst of the big city. 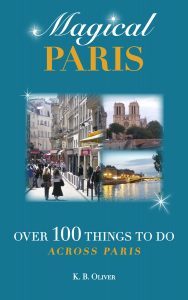 In addition to this list, there is also Bois de Vincennes to the east of Paris and Bois de Bologne to the west. These enormous forests have a lot to offer, but I’ll save these for another blog post. Each park is referenced by district number, which a map can help you find. Parc de Bercy (12th district, southeast) My favorite park in Paris! 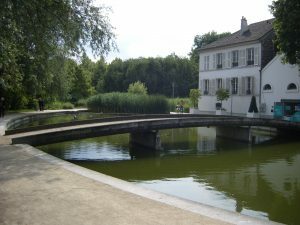 It runs along the Seine River to the southeast. One part is open, perfect for letting the kids run around. Then you pass through a gate and enter the Jardin Yitzhak Rabin. There you’ll find cobbled paths, rose gardens, a canal, and benches, along with a variety of flowerbeds. Nearby Bercy Village is a cute pedestrian area with shops and restaurants. Take line 6 or 8 to Bercy or 14 to Cour St. Emilion. Parc Floral (12th) This is one of two major botanical gardens of Paris, containing 3,000 plants, a man-made lake and fountain, a concert band shell with jazz concerts every weekend in summer, and a big children’s play area. Entrance is free except on summer weekends and some summer Wednesdays, when it’s just 5 Euros. Take line 1 to Chateau de Vincennes and follow the signs to the Parc Floral. You’ll pass the Chateau de Vincennes on your way to the Parc. 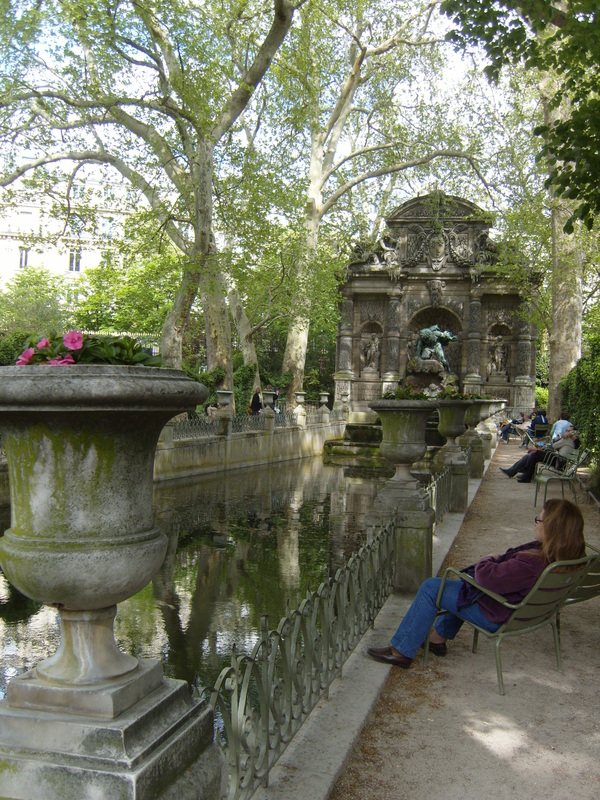 Jardin de Luxembourg (6th)is a large park in the 6th district on the left bank, near the Latin Quarter. Find the intersection of St. Michel and St. Germain, and you’re there. Waiting for you will be groomed lawns, statues, fountains, flowers, and chairs scattered on gravel walkways. Along with that are tennis courts, pony rides, and the imposing Luxembourg Palace, home of the French senate. Take RER B to Luxembourg. Parc Monceau (8th) Take Métro line 2 to Monceau. This park isn’t far from the Champs-Elysées. Butte Chaumont (19th) Worth the detour. A hilly park surrounds a lovely manmade lake. Métro line 2 to Jaures then switch to 7B. Exit at Botzaris or Buttes Chaumont. Parc Montsouris (13th) Large manmade lake and many walking paths. It’s on the southern edge of the city; Take RER B to Cité Universitaire. Parc de Belleville (20th) A smaller, but lovely terraced park with an overlook of Paris. Take Métro line 11 to Pyrénées or Line 2 to Couronnes. 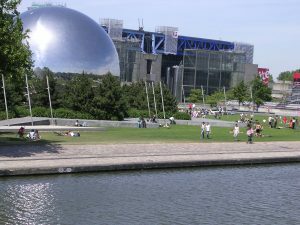 Parc de la Villette (19th) This park is different: It has an IMAX theatre, a science museum, and a planetarium. And a concert hall. And a conservatory. And sculptures in 10 different gardens. Take line 7 to Porte de la Villette or line 5 to Porte de Pantin. Or take the tramway to Porte de la Villette. Parc Andre Citroën (15th) It’s a bit further out, but a cool place to go if you’re in the area. 2 greenhouses, a large rectangular fountain, and a moored helium balloon that you can go up in, weather permitting. Jardin des Plantes (5th) Established in 1635, this park’s original name was The Royal Garden of Medicinal Plants. In addition to the gardens, there’s a zoo, a children’s garden, and 4 museums: Paleontology, Natural History, Geology, and Minerology. Métro line 5 or 10, Gare d’Austerlitz. Jardin de Reuilly (12th) A lovely, smaller park which comprises a large grassy area below, a footbridge overtop, and small seating areas elevated on the sides. Take Métro line 6 to Montgallet or line 1 to Reuilly. With all these choices you’ll have no trouble finding peace and green in Paris! 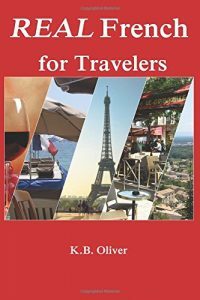 Note: These are short descriptions but you can find more detail in my book Magical Paris: Over 100 Things To Do Across Paris (Amazon).